Another teenage-girl-loses-weight-and-gets-revenge-with-new-body series is on its way to Netflix. 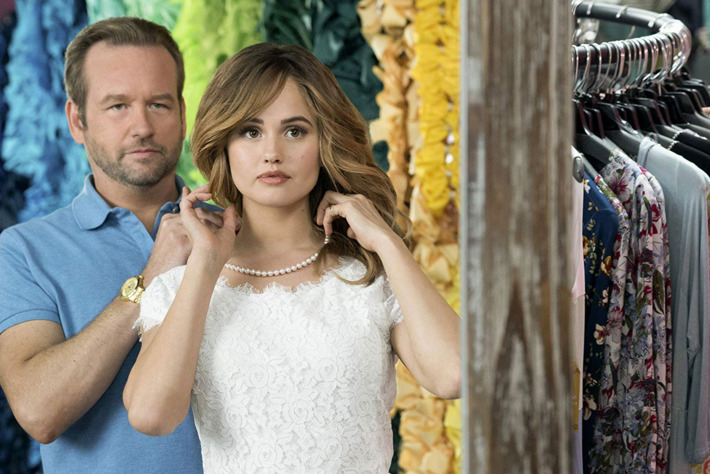 Insatiable has caused an uproar with its trailer, with many questioning how harmful this show could be to its intended teenage audience. But do we really have a right to judge before its release? Let’s discuss. Patty, an overweight high school student, has her jaw wired shut as a result of being punched in the face. She then undergoes a complete weight transformation- suddenly thin and desirable- and uses her new body as means of exacting revenge on those who bullied her. Yet another fat-girl-gets-skinny story that the teenage audience can potentially be influenced by. While others have been quick to slam the show for its possible damage, should we judge it so harshly just by the trailer? Isn’t the point of the series to not judge a book by it’s cover? We as a society are sensitive to topics of body image and self confidence, and such themes should be handled delicately. The sentiment was echoed by Lauren Gussis, the creator of the show. Stars of the show Alyssa Milano and Debby Ryan are behind her with support and ask viewers to ‘give the show a chance’ and not judge it by the trailer. 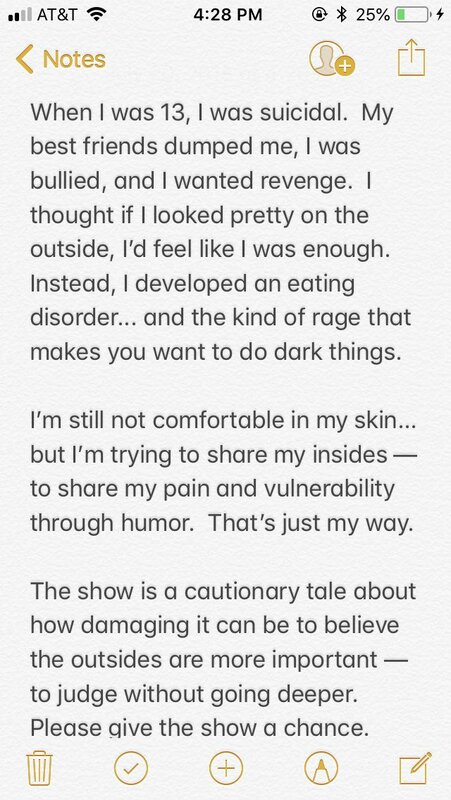 It’s not only about Patty herself, they claim, but about the people around her who also get affected by her weight loss. Every character has a journey to take to discover change within themselves. After the trailer was released, a flood of negative criticism overwhelmed the internet, resulting in a petition to have the show cancelled based on the detrimental effects it may have on the audience. The Pilot of the show hasn’t even been released yet and they already want it cancelled? This series WILL cause eating disorders, and perpetuate the further objectification of women’s bodies. The damage control of releasing this series will be far worse, insidious and sinister for teenage girls, than it will be damaging for Netflix in their loss of profit. These are topics everyone seems to struggle with discussing no matter what age in life they are at. It’s fair to say these stories should be told, especially if it is a personal experience, no one would argue against it. We need story lines with fat characters that have nothing to do with being fat, story lines about overcoming obstacles from being fat, while remaining fat. And that is precisely what ‘Insatiable’ has failed to do. Enough said. It would appear that the trailer could be deceiving: putting way too much emphasis on the ‘revenge body’ trope and not enough on the various other themes of the show. Looks can be deceiving, as they say, so should we follow suit with Insatiable and look past its outward appearance? Do you think the show should be cancelled because of concerns for the teenage audience or should we give it a chance? Let us know in the comments below!